This hardy canvas bag may start out life as a nappy bag but will still look great long after all nappies have been disposed of and babies have turned into toddlers and even school children. In fact, all Poppy Lou bags have been purposely designed to stand alone as funky fashion accessories and work well as carry bags for picnics, shopping sprees and many other occasions. 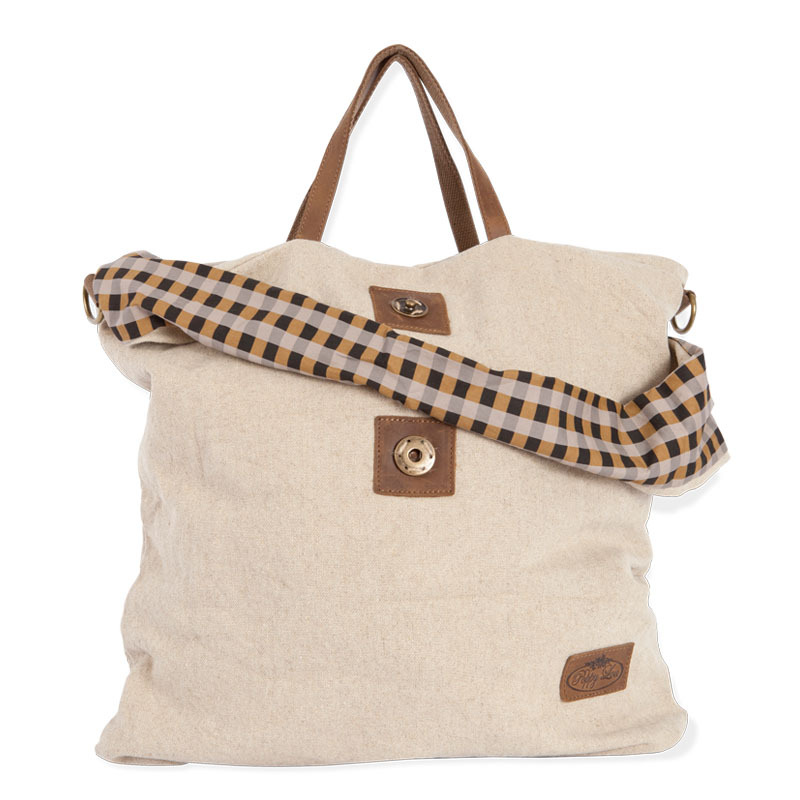 The Slouch bag has its own attachable shoulder strap to fit over prams and shopping trolleys, caramel and black plaid patterned check handle and a unique fold-over, button-down side to create a difference. It is lined in grey denim-like material holding five internal pockets, two zippered and two designed as wallet and phone holders. Great size to fit all your needs.